Back in January 2002, the repeatedly delayed opening of the downtown Burlington City Market/Onion River Co-op was a political football. Or rather, a "food fight," as the late Peter Freyne phrased it in his Inside Track column in Seven Days, that "sharply divided Burlap citizens along political lines." Freyne warned that another delay in the market's opening might cost the Progressive Party city council seats in March, describing the dormant storefront on South Winooski Avenue as "a giant billboard that screams to passersby — 'Throw Da Bums Out!'" Then-co-op board chair Don Schramm had a pointed response: "People are scared we're going to succeed," Freyne quoted him as saying. "We're going to succeed famously." On Thursday, City Market opens its second store, at 207 Flynn Avenue ("in time for Thanksgiving!" the webpage enthuses), a benchmark of just how far it's come. As the new store prepares for customers, we take you into its tricked-out kitchen, glance back at the co-op's founding, taste fresh Vermont products and serve up a smorgasbord of trivia. City Market's stats reveal interesting — and surprising — information about area consumers. For example, in a city and state with a strong affinity for buying local, the store's top-selling products include avocados, bananas, lemons and limes. Two Vermont-made items that do make that leaderboard are — shocker — two craft beers: Sip of Sunshine IPA from Lawson's Finest Liquids in Warren and Zero Gravity Craft Brewery's Conehead IPA, which is brewed on Pine Street a few blocks from the new City Market. Can't get much more local than that. Before Burlington had a food co-op called Onion River or a downtown grocery store called City Market, it had a "buying club." Formed in 1971, it consisted of a group of people who pooled their money to purchase food products that weren't readily available in northern Vermont. "It basically started as one group, and it morphed," recalled Larry Kupferman, 69, of South Burlington. "It got to be a pretty popular idea." About 100 clubs sprouted in the region, he said, some bound by streets or neighborhoods and others in rural towns. Some buying clubs became so popular that they hired coordinators to manage their efforts. Kupferman, then in his early twenties, held that job in Burlington. The five or so staff members handled orders and purchasing, he recalled, and drove to Boston and New York City in rental trucks to pick up food. Back home, they were responsible for distributing the products at a central site on Archibald Street in the Old North End. The coordinators also organized and oversaw club members' volunteer work, which involved breaking down orders and helping to distribute food. Distribution took a full day, Kupferman said, and continued off-site, where member-volunteers further divided the orders. One year, he recalled, buying club sales reached $1 million. "There was a political side to it all," said Kupferman, former director of Burlington's Community & Economic Development Office. "And it had to do with establishing as much separation from mainstay business as possible." On trips to Boston, Kupferman shopped at the pioneering natural-foods store Erewhon for items including brown rice, whole-wheat flour, rolled oats and honey. In New York, he bought 100-pound bags of peanuts at Bazzini Nuts, the distributor that served Yankee Stadium. "The shopping list grew according to what people wanted on it," Kupferman recalled. "The mainstay of the groups, apart from the hippies and the young people who were doing it, was a fairly sizable group of middle-class women who wanted the food." Future co-op board chair Schramm, who belonged in those days to a buying club in East Fairfield, remembered the years of gathering in someone's living room to make food orders. "It was kind of a crazy way to do it," he said. One person might announce, "We need 50 pounds of oats," Schramm recalled. People would chime in: "I'll take 10 pounds; I'll take 15." Owing to miscalculation or other factors, the Burlington club sometimes had leftover inventory after distributing the wares on Archibald Street. The extra food was set out on shelves in buckets for sale by the honor system. "That was sort of the beginning of the storefront," Kupferman said, "only in the sense that we had to sell what was left over." In 1973, the group formalized to become Onion River Food Co-op. The co-op moved to a storefront on North Winooski Avenue around 1990. Members formed a human chain to transport inventory a few blocks to the new location. A dozen years later, in February 2002, the co-op opened City Market, with its 12,000 square feet of retail space in downtown Burlington. "I always knew it was going to be a gold mine," Schramm said. 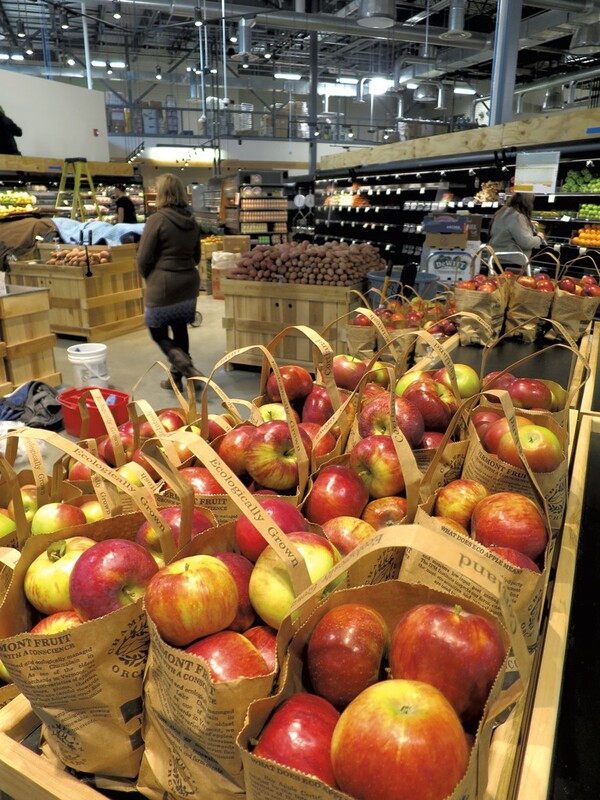 In 2001, when City Market was making its bid to be Burlington's sole downtown grocery store, some community members and city councilors wondered if the co-op might be too niche or upscale to play that role. "There were folks who were feeling that the co-op wasn't ready to serve the entire community," said Allison Hope, the store's current director of community engagement. To ensure the market would meet the needs of all Burlington residents, the city put an addendum on the business' lease. It mandated particular hours of operation, discounts for seniors and an affordable "mix of conventional products" with organic ones. Burlington City Councilor Kurt Wright (R-Ward 4) wasn't on the council when the addendum was written but was aware of concerns about the market's ability to be comprehensive in providing food for all. Was the mandate successful? "I've heard all good things about it," Wright explained. "As far as I know — without having studied the pricing structure — they have followed that addendum. They seem to have succeeded." In 2014, once City Market purchased its plot of land, that lease was no longer in force. However, those inclusive guidelines have become part of the co-op's mission, maintained Hope. "We're not obligated to follow the 'supermarket principles' anymore," she said, "but we continue to follow them." Hope and the rest of the management team consider those principles instrumental to City Market's success in attracting a wide swath of shoppers. "The things we've had in place for years are the things that co-ops around the country are looking at now [as they strive to become more inclusive]," Hope said. Those principles will also apply at the South End store, which will have the same mix of grocery items as the downtown store but with more room for produce, a meat case featuring value-added products made in the new kitchen and extra room for fresh flowers. 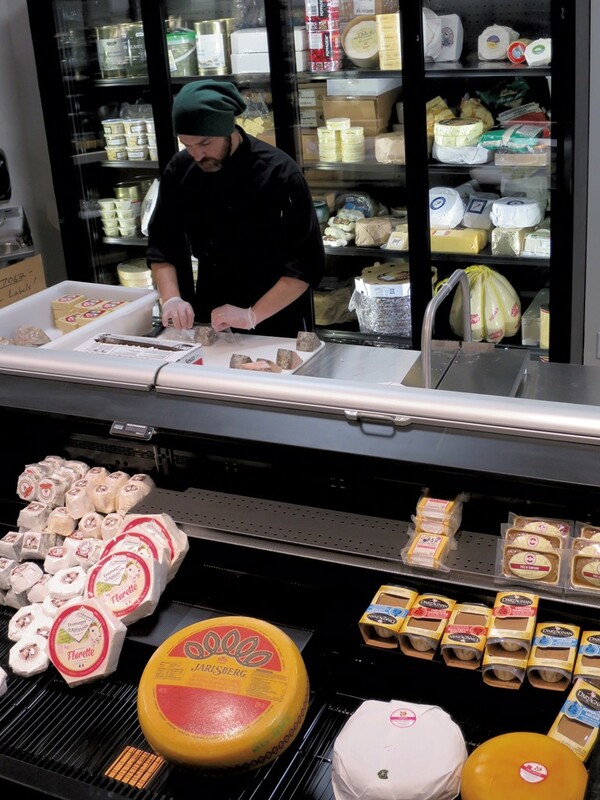 City Market's shelves have never looked like those at traditional natural-foods stores; Annie's Mac & Cheese may have center stage in the boxed-pasta section, but it sits cheek by jowl with products from Kraft and Velveeta. A robust selection of conventional produce, meats and other big-brand foods mingle with their organic and all-natural brethren. Those stocking decisions are based on customer feedback, Hope said. Besides gathering metrics at the registers, a team assembles weekly to review comment cards, social media posts and emails to the store. If the market is committed to offering low-cost grocery items, it's also wedded to supporting Vermont producers. 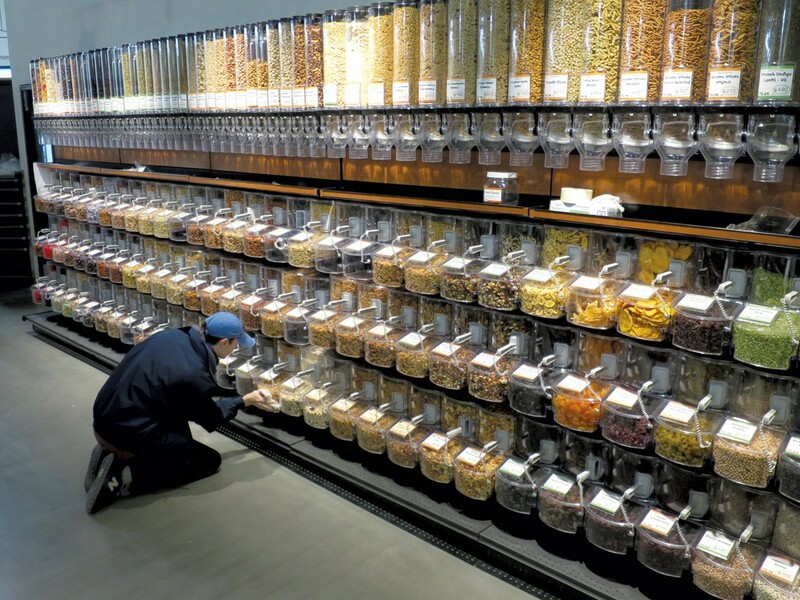 "We do prioritize local when we have competing products in individual categories," Hope said. And sometimes the co-op helps get the products on the shelves for the first time. "We helped [All Souls Tortilleria] with a loan a few years back and were one of the first to sell their tortillas," she continued. As of the end of October, Hope counted 2,926 local products ("including in-house made-food items") for sale at the market, accounting for "about 42.4 percent of sales," she said. "That's almost a 10 percent increase over the last five years." And the store's buyers are perpetually cycling in new local wares to see how shoppers like them. See the sidebar for a few of the latest additions to City Market's local lineup. While shoppers accustomed to the downtown store will find an entirely new layout at the South End City Market, one of the biggest differences lies behind the scenes. In the back of the building, away from customers' eyes, is a production kitchen outfitted with equipment many chefs can only dream about. There's a huge Hobart mixer and a baking oven that holds an entire rack of baking sheets — including the rack itself, which rolls into the oven and back out when the goodies are done. A massive steam kettle will simmer soup, and there's a behemoth of a 10-burner Southbend stove. Executive chef Michael Clauss said the kitchen will allow his team to prepare a slew of new value-added products, including a robust selection of marinated meats, tied roasts and fresh sausages. Rotisserie chickens will come in both organic and conventional versions. 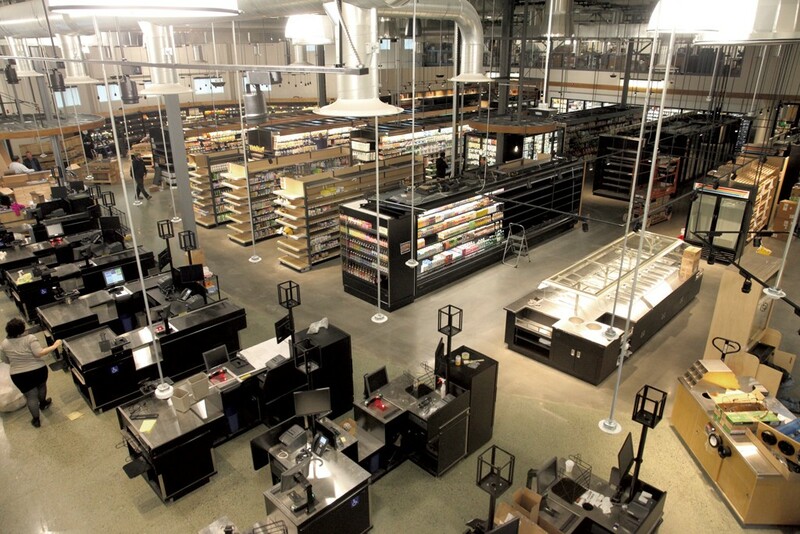 At some point, the new production kitchen will serve both stores. For now, the specialty meats and spit-roasted birds will be sold at the new store — due to space limitations downtown. Yet nearly all of the other goods coming out of City Market's kitchens will be the same. Norah Cunha, who's in charge of prepared foods at the new store, said both locations will have the same offerings at the hot and cold bars. A commuter could grab a lunchtime sandwich at the downtown store, notice an appealing entrée at the hot bar and scoop some up in the South End on their way out of town. Although the co-op will continue to offer workshops and demos in its downtown store as well as out and about in the community, its cooking classes will find a new home in the South End store's second kitchen. Designed for recipe testing and teaching, this kitchen is located up a flight of stairs away from the hustle and bustle. "It's a beautiful space; it has great light; it's really welcoming," said outreach and education manager Mae Quilty. Class topics will range from cooking with Indian spices (scheduled for December 5) to using bulk-section ingredients. Most workshops, said Quilty, will be given in the evening, when consumers are most readily available; fees will remain at $5 for co-op members and $10 for others. Turkeys preordered for Thanksgiving: The store isn't telling.